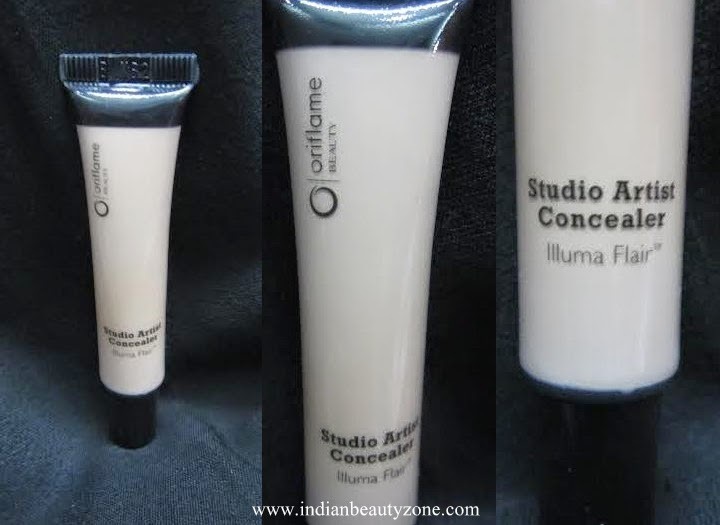 Today, I am going to review and swatch Oriflame’s studio artist concealer in the medium shade. According to my skin tone, I thought that light shade would be better but then I thought to try something different and experiment. And I think, this shade is also going well with my skin tone. Read on for the review and my favourite part: swatches!! Yay!!! The product is been packed inside this (image below) black color cover with all the necessary details written on it with white color. 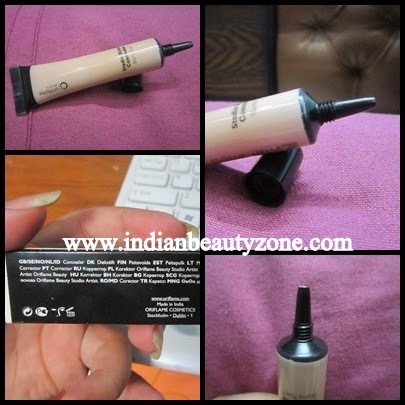 And the concealer is inside the plastic tube with nozzle. The cap is screwed so that there is no wastage of the product. I liked the packaging as you can use the product as much as you need. As far as purchase of the product counts, I bought it from March’s catalogue. The best of being a member of any cosmetic company is, you can shop a lot. 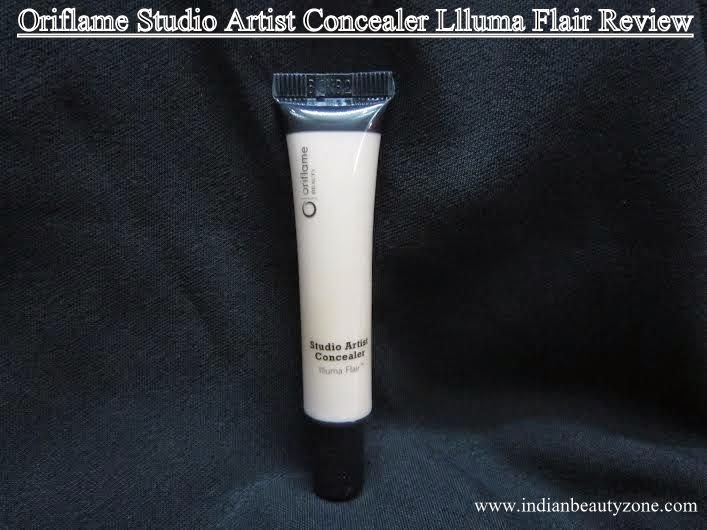 It is a studio based concealer that you can use to cover any imperfections. Especially, around the eyes if anyone have dark circles. The best part of this product I love is, it makes my skin smooth and sweat free. Yay! PS: I really sweat a lot. • Take some product on your palms. • Using your finger, dab it on your face (in the form of tiny dots). 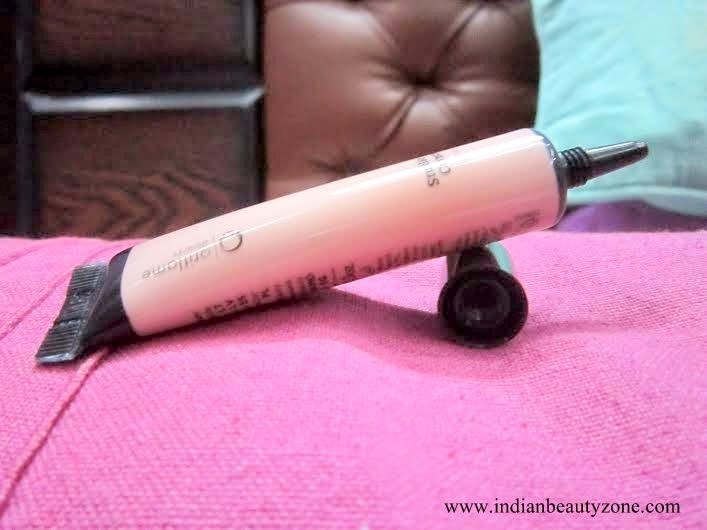 • Cover and blend it with your fingers very smoothly. It can be removed with any makeup remover very easily. • Gives a nice finish to your makeup. • Doesn’t harm your skin as it is made with natural ingredients. • Sweat free (the best part). • Requires very minimum product. • Shelf life is less, as the product requirement is less. Yes! It is little expensive but you worth it. I really liked the fact that it is sweat free (at least on my skin). I always face these problems and all my hard work on makeup goes in vain. But I am happy now, that I got this product. It is really an awesome product for me to have in my makeup box. And I would definitely recommend this product to those ladies who sweat a lot and wants to look pretty, glamorous and doesn't want their makeup to become a blunder. Go give it a try girl! You will surely going to love it. Do share your views on this product in the comments below. Have you tried it? If yes, then what is your take on it? If no, will you give it a try? Nice review on this! It looks and sounds like a great concealer. I would give this a try soon :) Looks good! Oriflam has been one of my all time favorite brands, in beauty and body products. Thanks for sharing this post about it.